Every year, this time, the heart of gastronomy is in London, at the international gastronomic competition “Great Taste Awards”, which awards the top products of the world.Every year, this time, the heart of gastronomy is in London, at the international gastronomic competition “Great Taste Awards”, which awards the top products of the world. The well-known taste competition “Great Taste Awards” is organized by the “Guild of Fine Food” and is a point of referral every year for quality food. The “Great Taste Awards” have been characterized as “The Oscar of Taste” and are considered the “epicurean version of the Booker award”, while their gold stars are equivalent to the Michelin stars of awarded restaurants. (“Great taste award, is to speciality food and drink what Michelin is to fine dining” ). 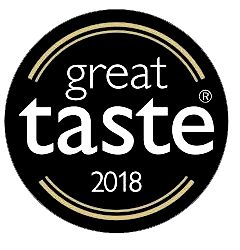 Indicative of the significance and the international acknowledgement of the ‘Great Taste Awards” is the fact that it is supported by the finest London department stores as well as many other food department stores all over the world. They rated the products with the “blind” taste method, without any referral to the packaging or logo, since the marketing is not judged, but only the taste and quality is. Winning an award is very important for the acknowledgement of the product and for the consumer, it is a guarantee and reliable seal of quality, known worldwide. On August 1st, 2018, the official results and the winners were announced by the well-known Great Taste Awards for 2018, where for one more time, Sakellaropoulos Organic Farms were honored with 2 Gold stars for 2 of their products. These 2 great distinctions at this year’s Great Taste Awards in London, are a unique and rare record of awards for a Greek producer which produces his own olive and olive oil products and is an honorable number of awards resulting in a world record. These 2 awards just announced in London, constitute 87 international awards for taste and quality for Sakellaropoulos Organic Farms, which include 23 golden awards from the Great Taste Awards, resulting in a unique record for a Greek producer. 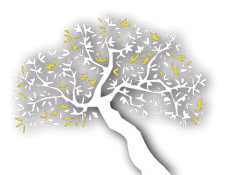 I consider all these awards as well as the unique number of awards, a great tribute that we have offered until now, to the sacred olive tree, as Sakellaropoulos Organic Farms, with the goal always being the achievement of the highest quality.